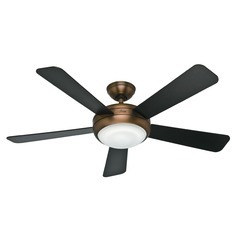 The following are detailed specifications about the Hunter Fan Company Palermo Brushed Bronze Ceiling Fan with Light. For over 100 years, Hunter Fan Company has continued to innovate new and smarter ways to clean, circulate and condition the air in homes. 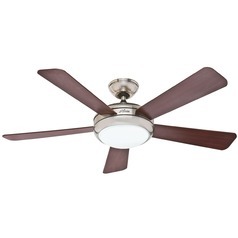 Hunter Fan Company produces air purifiers, thermostats, portable fans and bathroom fans. Can't find what you're looking for? Give us a call at 1-800-653-6556 or send us an email at customerservice@destinationlighting.com and we'll help you find the product. With our 14 physical stores and close relationship with our manufacturers, we are able to provide accurate answers faster than other online retailers. This Hunter Fan Company Palermo Brushed Bronze Ceiling Fan with Light is part of the Palermo Collection from Hunter Fan Company. The following items are also part of the Palermo Collection.